Like many mixed race kids I felt that I didn't belong anywhere, but I wasn't really an outsider: I was full of the invisible tensions of inside, hyper-aware of the contradictions and tensions my friends and peers ignored or never saw in the first place. I couldn't put a name to any of it then, it was just this intuitive sense of the anger and hatred that pulse through modern life, how America in all of its contradictions hates itself and how that hatred is everywhere and nowhere to see, layered over with sanctioned forms of like and dislike, but never love, that spiritual love Mimi was drawing always closer to - never love because love is too close to hate for America to allow it into daylight. Lawrence-Minh B�i Davis, "Dispatch from the Floor of the Model Minority Factory," The Offing, September 8, 2015. https://theoffingmag.com/essay/dispatch-from-the-floor-of-the-model-minority-factory/. Written during the dismal conditions of the Great Depression, Fannie Hurst’s novel, Imitation of Life, was adapted to film in 1934 and 1959. It tells the story of two widowed mothers, one white and one black, raising their daughters amidst a climate of capitalism and racism. Despite the drastic changes in the movie industry and culture, both versions met great success. Using the conventions of female melodrama, the story foregrounds the dilemmas of motherhood while commenting on capitalism, racism and image. In this paper, I will address how this story manages to transcend a generation and how the narrative was changed to accommodate a postwar audience. I will also discuss how the movie industry affected the production and marketing of Imitation of Life at the cusp of the tumultuous 1960s. Tags: Charisse L'Pree, Charisse L'Pree Corsbie-Massay, Charisse L'Pree Ph.D.: The Media Made Me Crazy, Douglas Sirk, Fannie Hurst, Imitation of Life, John M. Stahl, John Stahl. This study seeks to reevaluate the 1920s icon of assertive female sexuality, the flapper, as represented in the novels of four women writers. Although cultural images often designate, by their very construction, normal and alteritous social categories, I argue that the flapper’s presence and popularity encourage rather than restrict this autonomy for even those female populations she appears to reject, notably lower-class women, nonwhite women, and homosexuals. Specifically, the flapper was predicated upon the cultural practices and beliefs of many of the very groups she was designed to exclude, and therefore her presence attests to the reality of these women’s experiences. Moreover, her emphasis on the liberating potential of sexual autonomy could not be contained within her strictly defined parameters in part because of her success in outlining this potential. 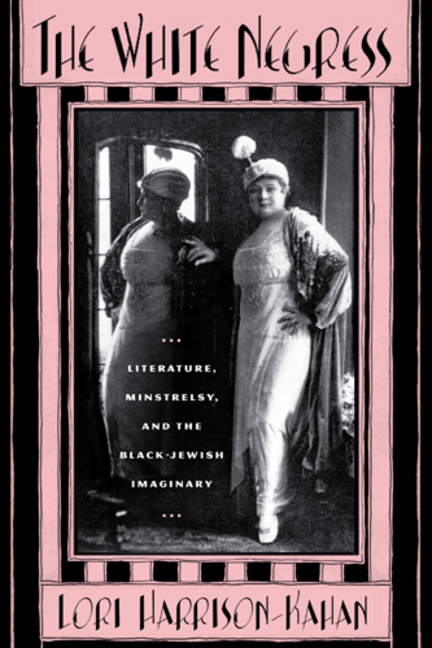 Each chapter then focuses upon images of black and white female sexuality in the novels, chosen for their attention to female sexual autonomy within and beyond the flapper’s boundaries as well as the author’s exclusion from the flapper’s parameters. Nella Larsen’s Passing suggests that the fluidity of female sexual desire cannot be contained within strict dichotomies of race, class, or sexual orientation, and women can manipulate and perhaps even transcend such boundaries. Fannie Hurst’s Imitation of Life offers a critique of the flapper’s excessive emphasis on sexual desirability as defined by conspicuous consumption, maintaining that lower-class white and black women can and should have access to sexual autonomy, while Their Eyes Were Watching God by Zora Neale Hurston similarly questions the denigration of working-class and non-white women in this model with her affirming view of Janie Woods, but also complicates the cultural presumption that any woman can find autonomy within a heterosexual relationship if such relationships are still defined by conventional notions of gender power. Finally, Willa Cather’s last novel, Sapphira and the Slave Girl, contends modern black and white women have the right to control their own sexual needs within an unusual antebellum setting. Thus, all of these novel provide other models of sexual autonomy besides the white, middle-class, heterosexual flapper while harnessing the flapper’s affirming and popular imagery. This thesis examines the plight of the infamous tragic mulatta. Because of the mulatta’s lack of black features and her close resemblance to the white race, she was labeled by white society as the privileged of the black race. She was also referred to as the most tragic of all beings and elevated by white society over the darker skinned blacks. Thus, the mulatta found herself in a peculiar position in a race oriented, black-white society. Isolated from the black community and rejected as a part of the white community, the mulatta’s existence was then considered tragic. Over the years, social and emotional change has occurred within the mulatta community. No longer considered the taboo of transgression, the mulatta still suffers from many of the same injustices as her ancestral mulatta. This research examines the psychological and emotional effects depicted in the 1959 film of Fannie Hurst’s Imitation of Life with sections of Toni Morrison’s The Bluest Eye and events from actress Dorothy Dandridge’s life. The research also analyzes Passing, Nella Larsen’s complex novel of the 1920s, to interrogate the strategy that many unidentifiably mulatto people mastered in order to achieve social and financial mobility. Lastly, the research explores the experience of the contemporary mulatta through Rebecca Walker’s memoir, Black, White and Jewish: Autobiography of a Shifting Self, in order to explore the issues of the newly termed bi-racial person. The research explores the lineage between the historical mulatta figure and the new bi-racial persons to defuse the theory of the tragic mulatta as a mythical allusion. Fannie Hurst’s 1933 novel, Imitation of Life, and the two movies that followed in 1934 and 1959, address the issue of racial passing in a way that no text ever has before. The theme of Imitation of Life is imitation, and as a result, it lends itself to a discussion of race performativity. Imitation of Life is the first text to juxtapose the mammy character with the tragic mulatto character, and this makes it conducive to studying the category of race and how race performativity functions. In addition, instead of focusing exclusively on passing, this analysis focuses more specifically on the way that resistance to (or condemnation of) passing, mainly through the power of confession, produces a specific mode of performativity. 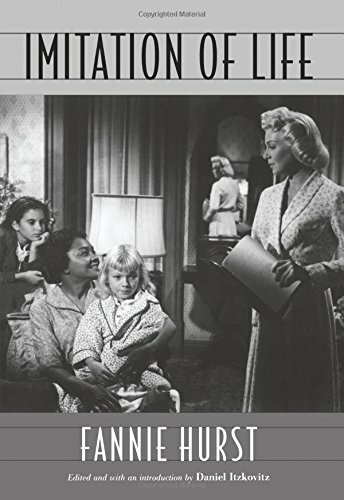 Each of the versions of Imitation of Life is analyzed separately in order to use the specific version of the text to examine not only how the mores of the time affect the outcome of the story to contextualize each story within its respective time period, but also to examine how each of the characters is constructed in order to evaluate the relationships between black and white women living in the same household. The focus is on the specific features of the mammy and the mulatto characters–their history, their attributes, and their significant features, in order to understand how they work in context and to understand their significance in terms of race performativity. Finally, an examination of the category of race in terms of performative reiteration is presented. Scenes from the book and the two films are scrutinized in an attempt to provide a vehicle to understand the means by which racial norms function. These sections work together to examine the condemnation of passing in Imitation of Life through the lens of race as a speech act. Imitation of Life is a passing narrative that is a crucial text for assisting theorists in understanding the complicated features of race performativity. During the first half of the twentieth century, American Jews demonstrated a commitment to racial justice as well as an attraction to African American culture. Until now, the debate about whether such black-Jewish encounters thwarted or enabled Jews’ claims to white privilege has focused on men and representations of masculinity while ignoring questions of women and femininity. The White Negress investigates literary and cultural texts by Jewish and African American women, opening new avenues of inquiry that yield more complex stories about Jewishness, African American identity, and the meanings of whiteness. Lori Harrison-Kahan examines writings by Edna Ferber, Fannie Hurst, and Zora Neale Hurston, as well as the blackface performances of vaudevillian Sophie Tucker and controversies over the musical and film adaptations of Show Boat and Imitation of Life. Moving between literature and popular culture, she illuminates how the dynamics of interethnic exchange have at once produced and undermined the binary of black and white. Building on feminist and queer scholarship on the relationship of film spectatorship to subjectivity, this essay conjectures subaltern spectatorships of the two US film adaptations of Fannie Hurst‘s 1933 novel Imitation of Life as a means of tracing the impossibly entangled discourses of race and sexuality, as well as of formulating “queer of color” as a kind of critical modality. Much like Harriet Beecher Stowe‘s Uncle Tom’s Cabin functions, according to Sigmund Freud, as a cultural artifact prized in the form of an idealized beating fantasy by the Victorian (white) child, Imitation of Life stages for black and queer of color spectators originary traumas, in particular the formative (and compounded) experiences of racial and sexual shame. This essay seeks to reconcile the dissonant emotions evoked by Imitation of Life by reading the overidentifications of subaltern spectators with the figure of the tragic mulatto as instances of queer pleasure, both self-shattering and subject forming. In so doing, the essay pays tribute to that tragic mulatto as a spectacular mulata and diva. The spectacular mulata diva summons queer subjectivities; furthermore, she betrays larger national and colonial secrets, locating the racially hybrid genealogies of the classic diva and the universalized subject of psychoanalysis, heretofore presumably white (European).